It’s difficult to describe the emotion I felt at my first glimpse of the Red Rocks of Sedona. Having never been to this part of the country, I was astounded at the beauty and the natural wonder of these prehistoric formations; words and photographs can’t come close to the reality of seeing them in person. Created by the waters that once covered this part of Arizona, I was reminded of the insignificance of man and the power of the elements. Entering into what was once home to the cliff dwelling tribes of the Sinagua Indians many centuries ago, it is evident that there is still a great presence and influence of Native Americans in this area, such as the Yavapai, Apache, and Hopi tribes. 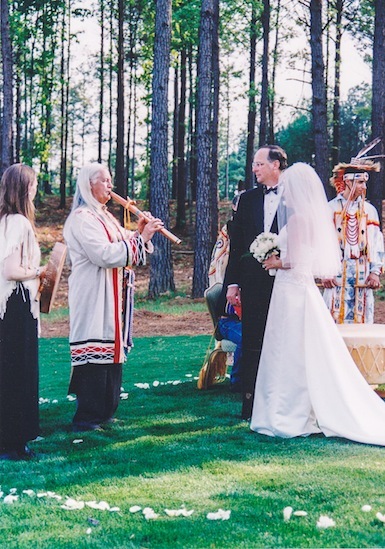 Having been married almost 12 years ago by the spiritual leader of the Creek Indians in Oconee, Georgia, coming to a place that has so much Native American history meant more to me than just a casual visit to a resort area. In fact, I was enchanted. 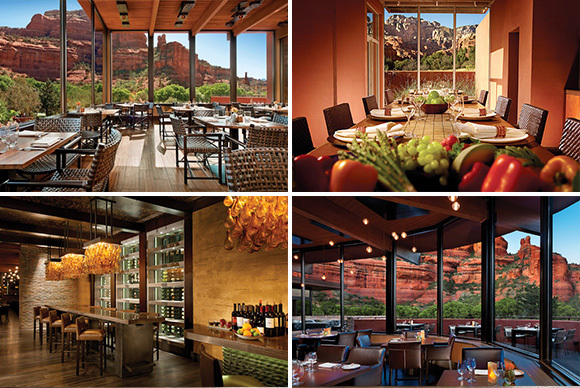 The aptly named Enchantment Resort, a Preferred Hotel Property, is a short drive from downtown Sedona and is situated on 70-acres in Boynton Canyon surrounded by the towering and impressive Red Rocks. 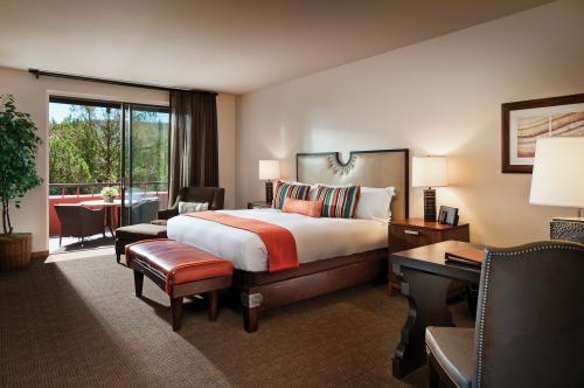 This award-winning luxury property features a Southwestern theme while paying homage to the Native American tribes that once thrived in this region. By honoring their land and customs with spiritual traditions and the design of the property, guests are able to enjoy this history along with the incredible natural beauty of the mountain wilderness, making this a truly unique destination resort. Sedona’s elevation at 4,500 feet offers a very different experience from other resort properties we visited in Southern Arizona. Located in the Arizona high desert, Sedona celebrates four seasons and there is a surprising amount of lush green space. Cool morning walks through the property’s meandering trails were followed by the warm afternoon sun. However, the afternoons never reached the high temperatures we experienced in Tucson or Scottsdale. Pleasant evenings, sitting outside enjoying a glass of wine at Tii Gavo, one of the resort’s restaurants, afforded stunning views of the sunset over the Red Rocks. 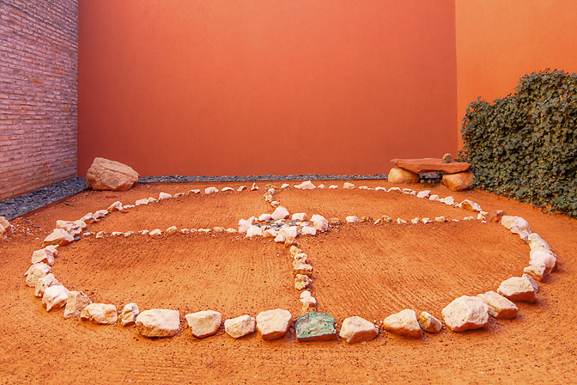 The most unique aspect of this property is that it offers two completely different experiences depending on your personal desires: a relaxing traditional resort or an energizing experience of health and wellness. When checking into Enchantment Resort, guests are escorted by golf cart to one of their luxury accommodations in the pueblo-style casita buildings. There is a beautiful pool with stunning views; championship golf just minutes away at Seven Canyons (available to resort guests and club members); a long list of daily activities offered through the resort as well as Mii Amo, the world-class destination spa on property; and first class dining at four unique venues. Repeatedly ranked as the top destination spa in the world by Travel & Leisure and the #1 Destination Spa in North America by Condé Nast Traveler (2013), guests of Enchantment can use Mii amo’s spa facilities, book treatments, join in cooking demos at the spa, or dine on elegant spa cuisine at the café. The resort was just included on both the Gold and Platinum Lists for Best Hotels and Resorts (2014) with Condé Nast Traveler as well as Traveler & Leisure’s World’s Best Hotels for 2014. What a magical place. I’ve never been to Sedona; your beautiful pictures made me want to go there. 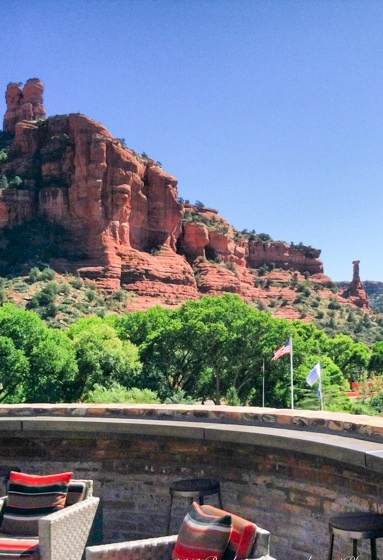 I travelled the entire length of california as a child and haven’t been back to the US since – I think its worth a return visit to see Arizona…I did’t realise it was so green! 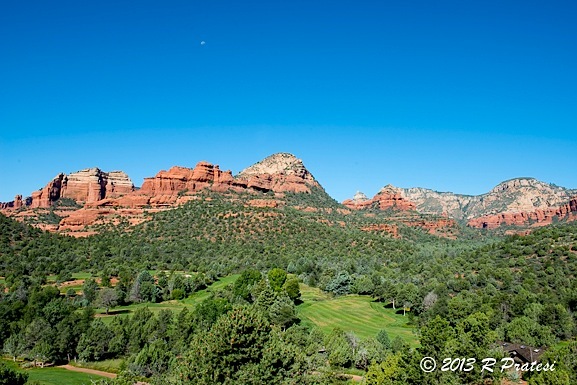 There are so many beautiful places to see in and around Sedona. The Chapel of the Holy Cross, Honanki and Palatki ruins, Oak Creek Canyon(with Slide Rock) and the many rock formations around the city(just to name a few. 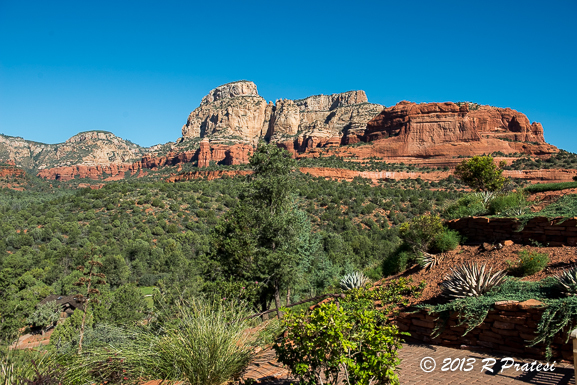 It is very easy to find lots to see in Sedona. Sedona green.